Queso Blanco Dip – AKA seriously delicious comfort food! This dip is deliciously rich, incredibly cheesy and perfectly satisfying. If I had to choose one type of food to live on for the rest of my life it would probably be Mexican food. I could hardly live without it. 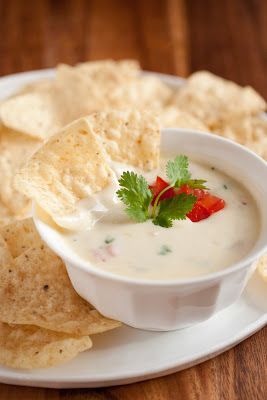 Lately I’ve been looking for a good Queso Blanco Dip recipe, just like what you get at a Mexican restaurant. Most of the recipes I found contained White American cheese in them. 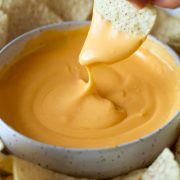 I’m not a big fan of processed cheese so I decided to go with one of my favorite cheeses that is commonly found in Mexican cuisine – Monterrey Jack cheese. 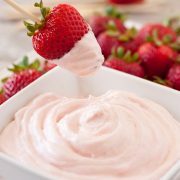 It melts smoothly, it has a wonderful flavor and of course, it’s not processed. I created my own recipe and decided to start the recipe out with a roux, not only to thicken the cheese sauce but to add a starch to the mixture to prevent it from separating and curdling. You can easily adjust this recipe to suite your taste. For example if you like a little heat you could saute some diced fresh jalapenos along with the onion or add pickled jalapenos at the end of cooking. If you don’t like jalapenos you could just use cayenne pepper for a little heat. You could even replace the optional ingredients with a bit of chunky salsa (just strain of some of the liquids). And as noted below you can leave out all the chunky ingredients if you just want a simple and velvety smooth cheese sauce. 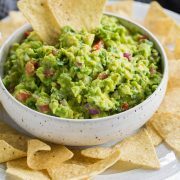 This dip is unbelievably good and it’s surprisingly so simple to make. 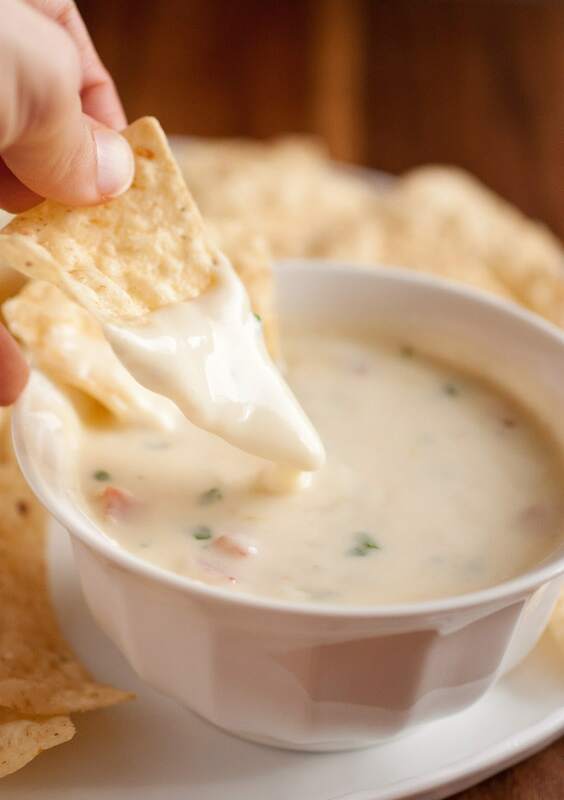 I’m pretty sure it would be hard to find someone who didn’t love this dip at the next party you’re hosting. Cheesy, carb heavy, Mexican food goodness. Enjoy! This dip is deliciously rich, incredibly cheesy and perfectly satisfying. Yields about 2 cups. Melt butter in a medium saucepan over medium-high heat. Add onion and saute until soft about 4 - 5 minutes, adding garlic during the last 30 seconds of sauteing. Whisk in flour, and cook stirring constantly, about 30 seconds. Slowly pour milk into mixture, while whisking vigorously. Bring mixture just to a gentle bubble stirring constantly. Remove from heat let cool just briefly then stir in finely shredded Monterrey Jack cheese. Return to warm heat to melt as needed. Stir in optional ingredients. Serve warm with tortilla chips (or serve over tacos etc. Note that it will thicken as it rests so reheat to thin if desired). *For a smooth cheese sauce without the chunky ingredients, omit the chopped onion and crushed garlic. Replace it with 1/2 tsp onion powder and a generous pinch of garlic powder. Since you won't need to saute simply melt the butter then add the flour, garlic powder and onion powder and continue as directed and omit the optional ingredients.